Dr. Arthur Maria Ferreira Neto, Professor of Law at the Pontifical Catholic University of Rio Grande do Sul (PUCRS), a major regional private law school in Porto Alegre, Brazil, and Vice-President of Brazil’s Institute of Tax Studies, will deliver a short presentation at noon on Nov. 14. Dr. Neto will discuss “The Current Debate on Brazilian Tax Reform and the Brazil Constitution: A Comparison with International and U.S. Approaches.” The talk, which is free and open to the public, is at the College of Law. Dr. Neto will discuss the current debate on tax reform in Brazil in light of related debates about amending the Brazil Constitution, which was adopted in 1988. These debates will become even more important in the aftermath of the Brazil presidential election in October 2018. Brazilian leaders and policymakers are considering other tax reform approaches, including guidelines on value added taxes recently promulgated by the Organization for Economic Cooperation and Development (“OECD”) as well as the reforms made in U.S. tax law as part of the 2017 Tax Cut and Jobs Act. Dr. Neto’s talk will focus on the Brazilian experience while comparing it with approaches advocated by the OECD as well as those reflected in U.S. tax law reforms and tax policy debates. He will also touch on some differences and similarities between the Brazil Constitution and the U.S. Constitution. 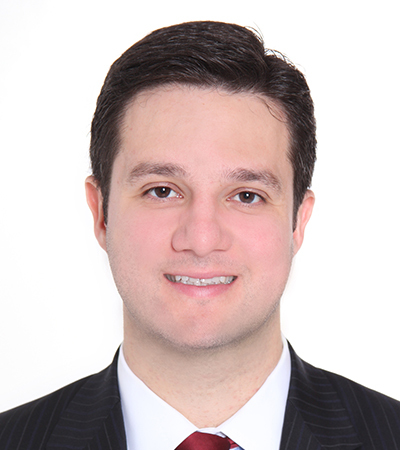 Dr. Neto has a Master’s and Doctorate in Tax Law from the Federal University of Rio Grande do Sul. He also has a Master’s and Doctorate in Philosophy from PUCRS. He is Coordinator of the Public Law Department at PUCRS Law School, and is Vice-President of the Institute of Tax Studies in Brazil. Dr. Neto has published numerous books and articles on the philosophy of law, human rights, Brazilian constitutional law, and tax law. Dr. Neto gave a talk at the Nebraska College of Law on the right to be forgotten in September 2017.